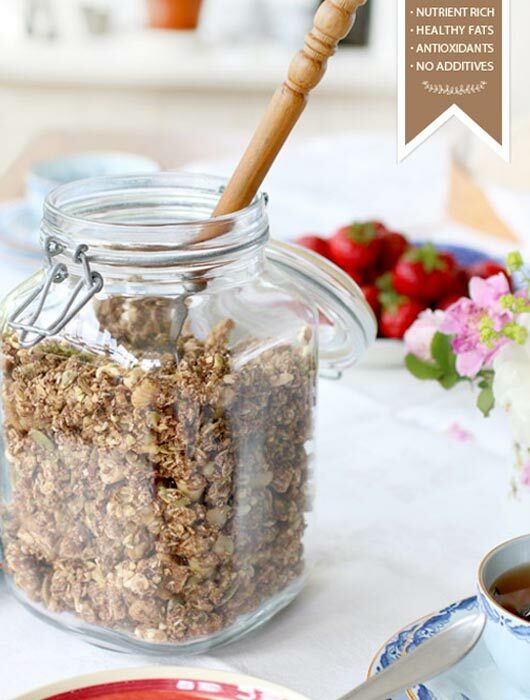 Make your own raw granola. It is absolutely Amazing! 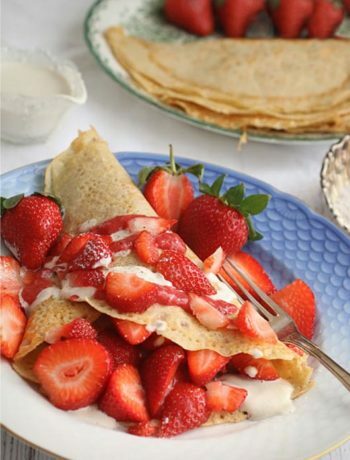 Crunchy, flavourful, sweet, healthy and completely gluten free. Since I started doing my own granola I´m never going to eat store bought again. This is so much better. It has much more nutrition, less sugar and it tastes even better. I use it on yogurt, with fruits and berries, by itself when I feel like a snack or as a great, healthy travelsnack. Because of the sprouting in this recipe it will take a few days to make, but the total amount of preparation time is very little. You can skip the sprouting and soaking part if you want, but I hope you’ll give it a try. It´s easy once you get used to it and buckwheat sprouts has tremendous health benefits. Sprouts are one of the best superfoods! I’m always baking my granola at the lowest temperature to preserver all the nutrition. It will take a little longer, but in return you will keep all the nutrition and natural enzymes that otherwise would be destroyed. 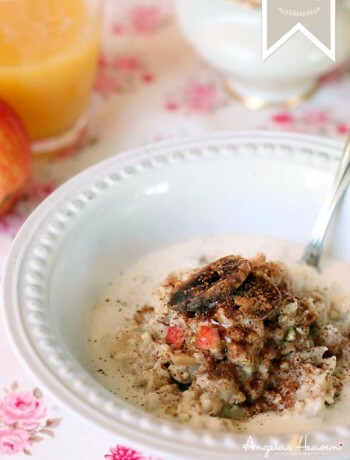 Buckwheat is high in fiber and makes you feel satisfied for a long time. One cup of buckwheat provides over 20% of the daily allowance of dietary fiber. One cup of buckwheat also renders about 15% of your daily requirement of Omega-3. Buckwheat is high in easily digestible proteins. Buckwheat is high in plant based calcium. Buckwheat is high in rutin that is known as a powerful capillary wall strengthener. Buckwheat contains magnesium, rutin, chiro-inositol and 35 other phyto-nutrients that support natural detoxification. It is a great alternative for people with celiac disease. Rinse the buckwheat groats under running water. Let them soak in a jar covered with 2-3 times as much fresh water for 8 hours. Rinse them well in a colander. Chop the hazelnuts roughly and put all of the ingredients in a bowl. Stir well with your hands or a spoon. Spread the mixture in a thin, even layer on a baking sheet. 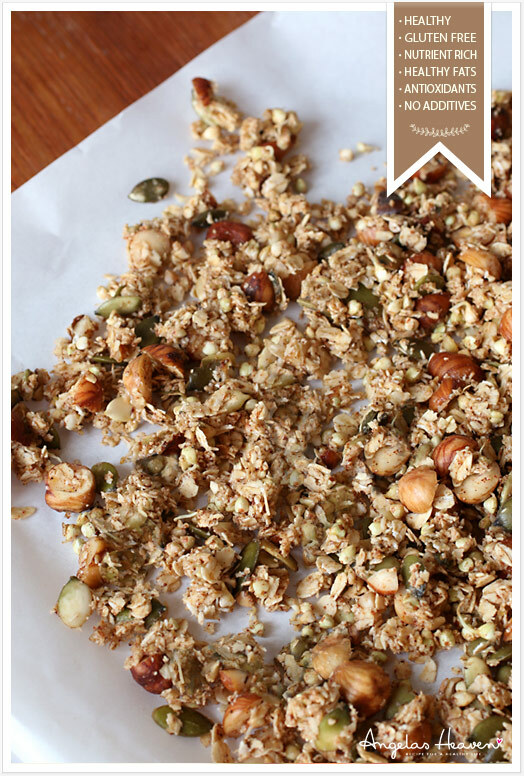 Dry the granola at the lowest temperature in the oven 105F for 10-12 hours or until crunchy. 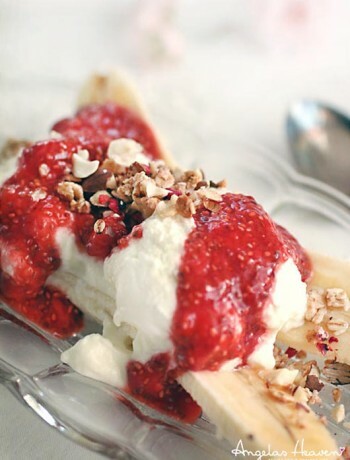 This granola looks so good! 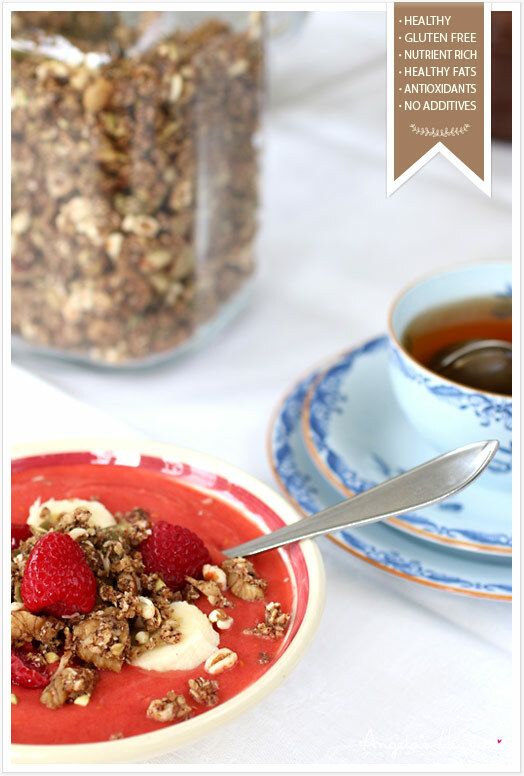 I love granola over yogurt, so I’m putting this on my to-make list!